1 Year New 4 bedroom, 2-1/2 bath 2 story in the desirable Gates of St John! Many upgrades including vinyl plank flooring on the entire main level, upgraded lighting package with fans/lights in all bedrooms, custom mud room, water softener and RO system, custom paint and window treatments. Main floor features include kitchen with 42 white soft close cabinets, granite counters, island and stainless appliances; living room, foyer, formal dining room with chair rails, dinette, family room, office/den, mud room and 1/2 bath. 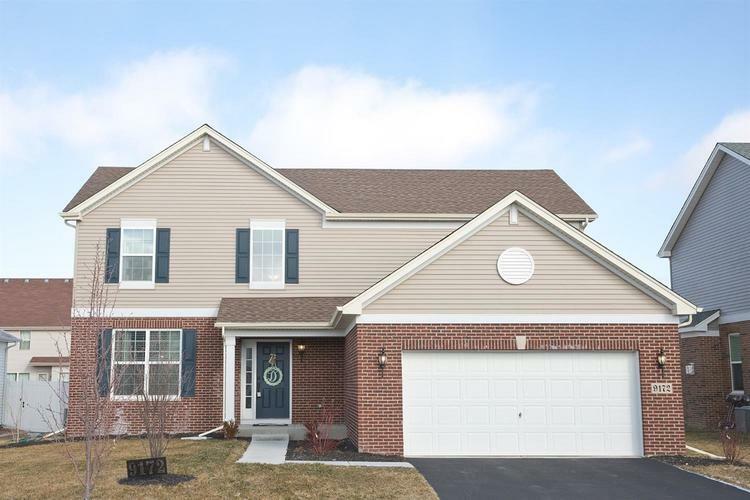 Upper level master suite with walk-in and master bath with soft close cabinets, 3 additional bedrooms, laundry room and full bath with soft close cabinets. Home has attached 2 car garage, basement and is landscaped. A great value!